Dan and I took a short trip to southern Spain last month to meet up with friends and get in some sunshine. Follow this link for nine days of fun and food in the sun! Now, for your reading pleasure, I present to you Just Along For The Ride, available for e-readers everywhere! 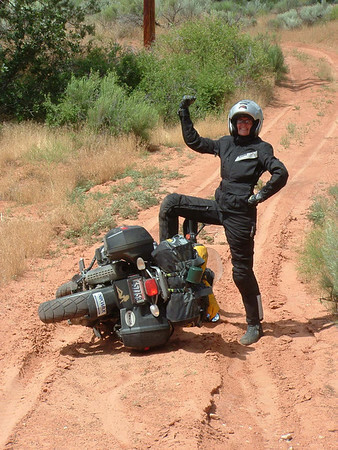 This is the exciting tale of my two motorcycle trips to Mexico. Here is a link to the Amazon page for Just Along For The Ride. Dan and I got back from our trip to Switzerland and made the decision that yes, we could indeed get along living with the Swiss. But we came home with news that importing our BMWs into the country would be “prohibitive”. Therefore the last remaining motorcycles in the garage have got to go. Here’s to the start of an amazing adventure! Just how important is that? You can make the best produce in the world, but if you won’t stand behind it, it is worth nothing. I recently had an atrocious customer service experience with Rick Mayer Cycle, purveyor of custom motorcycle seats. While his workmanship might be good, his lack of business acumen and customer service will prevent me from ever recommending him to anyone. You can read about my experience here. Yes, despite it being December 4th, the weather was cooperative enough for me to get in a half day ride. It was an eventful but fun day.